Are you searching for the perfect date night activity for your St. Augustine vacation? Head to the Limelight Theatre and purchase tickets to one of their incredible productions. Each season, this year-round community theater stages eight excellent productions. No matter the time of your visit, you’re likely to find something to enjoy. Discover what you need to know about the theater, as well as how you can book our “dinner and a show” package! For 27 years, the Limelight Theatre has been staging top-notch productions of shows as well as providing youth theater education and adult improv classes. They are known as the only year-round community theater in Florida. The production quality, however, is far beyond what you would expect from a local show. With a cast of talented actors to the fantastic set, sound, and stage design, the Limelight never fails to impress! You’ll find a little bit of everything at the Limelight, from classic Broadway musicals like Cabaret to newer shows that may be completely unfamiliar to you! The Limelight Theatre hosts performances from Thursday to Saturday at 7:30 p.m. and a Sunday Matinee at 2:00 p.m. Regular tickets are just $26, though there are student, senior, and military discounts available for non-musicals. The Limelight Theatre is wheelchair accessible, and there is a ramp which allows access to the building. Make the most out of your date night and book our Limelight Theatre Package. It includes dinner for two at the incredible La Pentola Restaurant, which is one of our favorite date-night spots in St. Augustine. Following your meal, an Eco Cab will pick you up to take you to the theater. After your show, you’ll head back to the Inn for an intimate night in one of our cozy guest rooms. With our Limelight Theatre Package, you won’t have to stress about making reservations or getting tickets. All that work is done for you! The only thing that you need to worry about is finding the best time to visit St. Augustine. 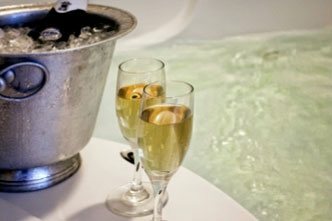 Are you looking for more inspiration for romantic things to do in St. Augustine? Check our available add-on attractions. We’re happy to book a sunset cruise or a private horse and carriage ride for your next visit! 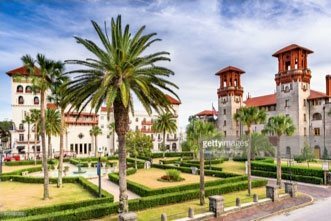 Are you ready for a romantic trip to St. Augustine? The first step is booking a room with Agustin Inn. 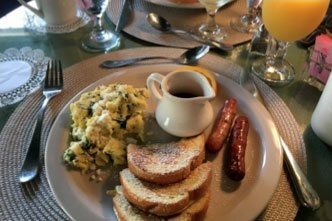 Our historic bed and breakfast, located just off of St. George Street, features everything you need for an intimate getaway. From the moment you arrive and receive a complimentary champagne toast to our delicious daily two-course breakfast, you’ll be pampered by our incredible staff! Remember to ask your innkeeper for recommendations for great local restaurants, attractions, and shops. Our dedicated team is there to help make your stay one you’ll never forget! If you’re planning a romantic getaway, consider booking Windsor. 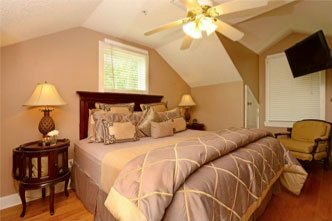 Located in the original structure of Agustin Inn, this beautiful room features a queen-size bed, Jacuzzi tub and shower, and a private balcony. Plus, this room was recently redone to include elegant hardwood floors.